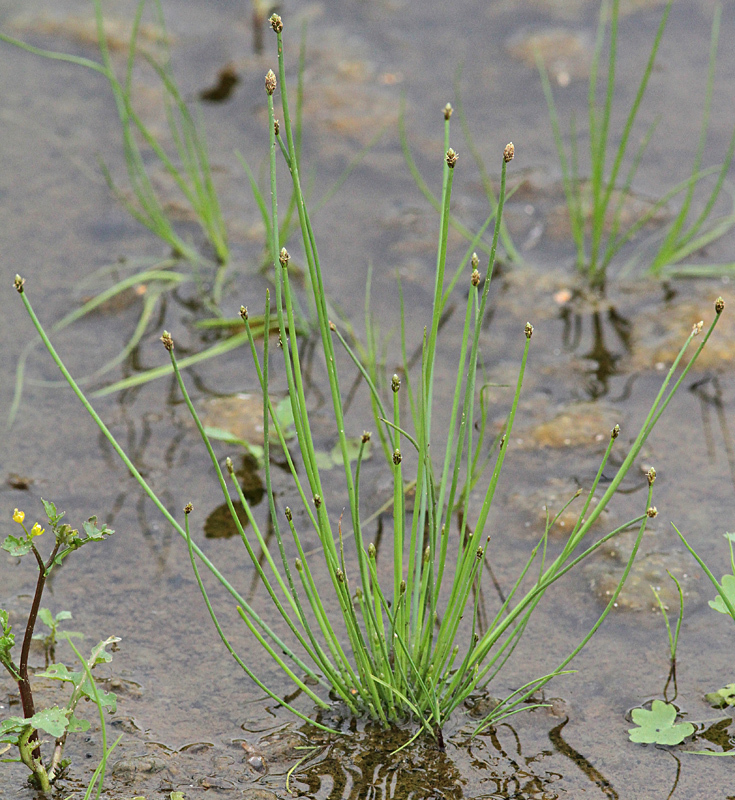 Eleocharis engelmannii. Manual of the Alien Plants of Belgium. alienplantsbelgium.be (Accessed 4/2018). Eleocharis engelmannii is an annual spike rush, 5-50 cm tall, clumped, roots short, fibrous (easily pulled up), stems 0.1-0.2 cm thick. 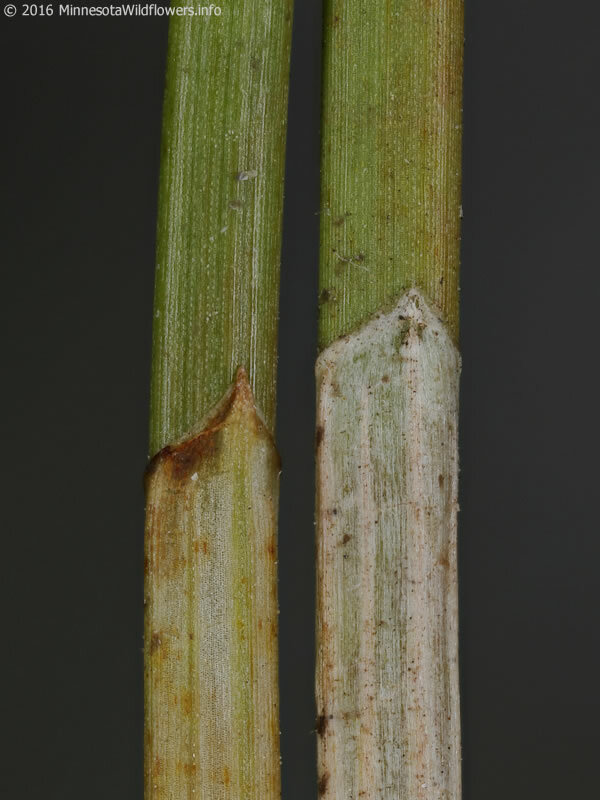 Eleocharis engelmannii leaf sheaths. © 2016 MinnesotaWildflowers.info (Accessed 4/2018). 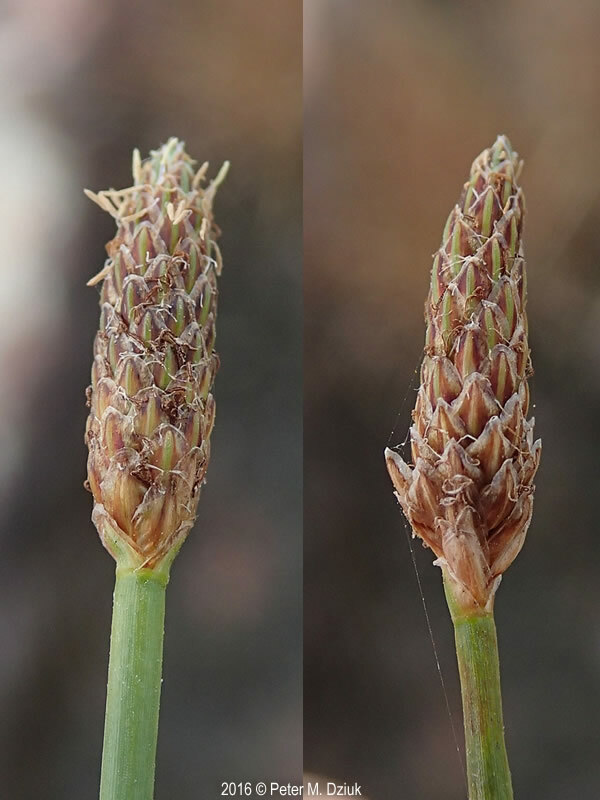 Flowers in cone-shaped inflorescence (spikelet) 0.5-1.3 cm long, scales dark, red-brown with green center stripe (becoming pale with age), margins pale, membranous. Eleocharis engelmannii-091316- flower spikes. 2016 © Peter M. Dziuk. Minnesota Wildflowers. minnesotawildflowers.info (Accessed 4/2018). 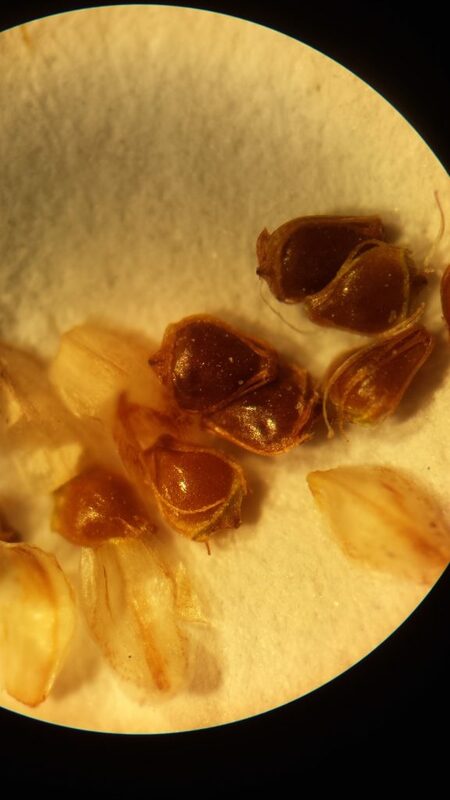 Fruit a dry achene, lens-shaped, narrow at base, with broad-based, hat-like short beak; blooms and fruits Aug.-Oct. Seeds eaten by waterfowl and shorebirds (Martin et al. 1951). Frequency in NYC: Occasional but listed as Endangered in New York State. Habitat: Shallow water or saturated soil in open areas or partial shade, wet fill, soil pH 4.6-6.8; tolerant of fire, intolerant of shade and salt (USDA, NRCS 2010).